The 2017 –’18 season includes concerts with the Defiant Requiem Foundation singing the concert, Hours of Freedom and a staged reading of the new play Mass Appeal, 1943; the Mozart C Minor Mass with the Richmond Symphony; the Verdi Requiem with the True Concord Choir and Orchestra (AZ); a recital with tenor, Vale Rideout, baritone, Bob McDonald and pianist, Joy Schreier for the Classics on Hudson concert series in Hudson, NY; Così fan tutte with the National Phiharmonic and a concert at the Millennium Stage for the Coalition for African Americans in the Performing Arts at the Kennedy Center. Ms. Zukerman is the featured soloist on the critically acclaimed, GRAMMY nominated 2013 Naxos recording of James Whitbourn’s oratorio, Annelies: the first major choral setting the Diary of Anne Frank. The Guardian (UK) praised her performance on the CD ̧ stating, “Arianna Zukerman sings with subdued beauty.” She sings the work often including notably, the New York City premiere of the work at Alice Tully Hall in Lincoln Center in the Spring of 2014. 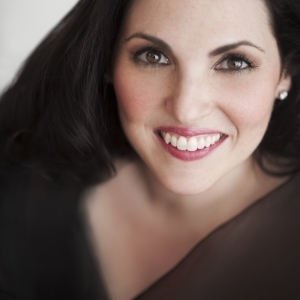 In addition to her performance schedule, Ms. Zukerman is the Chair of Vocal Studies at the Wintergreen Music Festival and Academy and is the Festival’s Advisor for Vocal Programming she is also an Associate Director and faculty member at the Potomac Vocal Institute in Washington, D.C. She served on the faculties of Bel Canto in Tuscany in Greve in Chianti (2017), at the Catholic University of America teaching Vocal Performance and Musical Theatre from 2008 – 2017 and at the University of Maryland for the fall semester of 2016 for Delores Ziegler who was on sabbatical. She also regularly gives master classes internationally. Some of the programs her students have been accepted to include the following graduate and summer music programs: Manhattan School of Music, Indiana University, UCLA, Oberlin in Italy, the Chautauqua Institution Voice Program, the Miami Music Festival, Teatro Nuovo, Castleton Young Artist Training Program, Opera Studio Weimar, Music Academy International, OperaWorks, Opera Singing and New York, and Prague Summer Nights.